Fennel, which has the scientific name Foeniculum vulgare, is made up of a white or pale green bulb from which superimposed stalks are mounted. Greek mythology associated fennel with the god of food and wine, Dionysus, and was said to have within it the coal that passed knowledge from gods to mankind. In modern times, fennel is cultivated in countries such as France, India, Russia, and the United States. It can be used to add flavor to already delicious meals, as it has a mildly sweet tang, and can be eaten either raw or cooked. Fennel can be a good source of natural estrogen and dietary nitrates. It also lessens the symptoms and negative effects of premenstrual syndrome by regulating hormonal activity in the body. Fennel helps address a lot of health issues due to its stomachic, anti-carcinogenic, anti-inflammatory, antimicrobial, antioxidant, antispasmodic, carminative, depurative, diuretic, emmenagogue, and expectorant properties. Fennel is good for alleviating digestive issues such as bloating, constipation, colic, diarrhea, flatulence, heartburn, indigestion, intestinal gas, irritable bowel, and even non-ulcer dyspepsia. It also makes possible the proper functioning of the digestive system. People who are on a diet should consume fennel on a regular basis – not only will it suppress one’s appetite, it will also give one the feeling of fullness, thus inducing him or her to partake of only small portions during his or her next meal, or not eat at all. For optimum results, try dry roasting, sieving, and grinding fennel seeds and drinking one-half teaspoon of the powder mixed with warm water twice a day. Fennel can lessen your risk of having a heart attack or stroke and also balances cholesterol levels in the bloodstream and keep them at a healthy amount for fennel is rich in potassium, folate, fiber, vitamin B6, and vitamin C.
Due to the presence of phosphorus, calcium, iron, magnesium, manganese, vitamin K, and zinc in fennel, consuming it can be beneficial to your overall bone health. To specify, phosphorus and calcium help maintain proper bone structure; iron and zinc are essential for collagen production; and vitamin K reduces the risk of bone fracture. You can avoid getting sick from anemia by incorporating fennel into your daily diet. Fennel is good for alleviating the pain of sore gums. 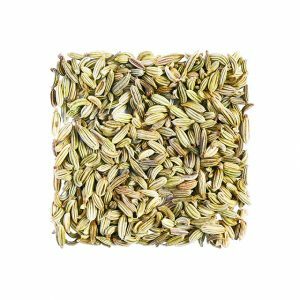 Fennel bulbs and seed extracts can protect you from getting colon, breast, and liver cancers as fennel has anticarcinogenic properties. An infusion of one-half teaspoon of fennel seeds that are boiled in one cup of water can help relieve eye strain and irritation. It can also prevent eye disorders such as macular degeneration. The potassium in fennel bulbs and seeds increases cognitive abilities and boosts the brain’s capability to function. It also helps lower high blood pressure. 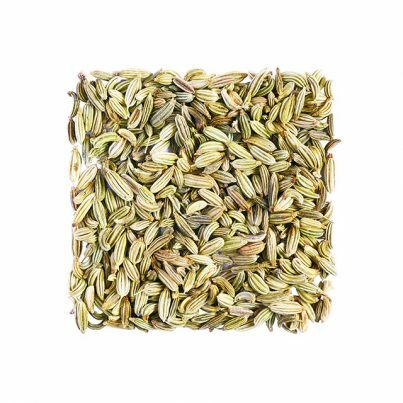 Fennel seeds and powder can help alleviate respiratory conditions by clearing the throat and nasal passages and breaking up phlegm. Fennel is a wonderful addition to a salad and a delightful complement to a scallop dish. It can also be a bold but surprisingly good alternative to the lettuce in your sandwich. If you want more ideas on how to prepare fennel and get sumptous meals out of it, visit this site. Fennel can also be used for oral hygiene and is usually an active ingredient in making toothpaste and mouth fresheners. It is also one of the main ingredients when making an absinthe even though it contains no hallucinogenic properties. An infusion of one-half teaspoon of fennel seeds that are boiled in one cup of water can help relieve eye strain. The potassium in fennel bulbs and seeds increases cognitive abilities and boosts the brain’s capability to function.